DISORIENTATED tourists visiting the Phoenix Park are regularly left scratching their heads at least a kilometre away from their destination due to ongoing confusion over train station names. 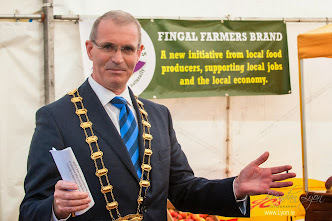 Local politicians say that because of the misleading naming of the Phoenix Park stop, those unfamiliar with the city have been going to the wrong one, and finding themselves left with a considerable walk. Iarnród Éireann says that while it had not received many comments on the situation lately it is prepared to examine signage at Ashtown, the station closer to the park, "to indicate its proximity". 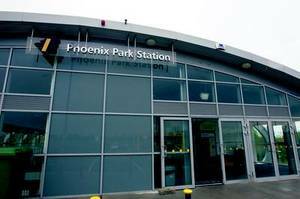 "The station was funded by the developers of the Phoenix Park residential development, hence its name," a spokesman said. However, local councillor Kieran Dennison said complaints were regular and the number of official comments to the company was probably not reflective of the true situation. When this opened the developer had to build it as a condition of building apartments, he said. "It was called the Phoenix Park train station but it is a kilometre away from the park and the actual train station that serves the park is Ashtown. "Tourists are getting on the train and going to the Phoenix Park, getting off and finding that they have gone at least a kilometre too far. "There have been complaints. People have mentioned it in the locality. We are probably not even getting the level of complaints that we could have." Iarnród Éireann said that while it would look at the issue, the majority of tourists visiting the park do so from the entrance near Heuston Station. Meanwhile, the company has said that a recent inability to refund machine tickets to rail users at Connolly Station was due to a "mis­under­standing". A spokesman explained the company was seeking to collect information on refunds recorded in a specific way and this was misinterpreted by staff as not being possible for machine-bought tickets. Instead, forms were filled out and processed. "Staff will be rebriefed so that tickets not yet used can be refunded over the counter," he said.